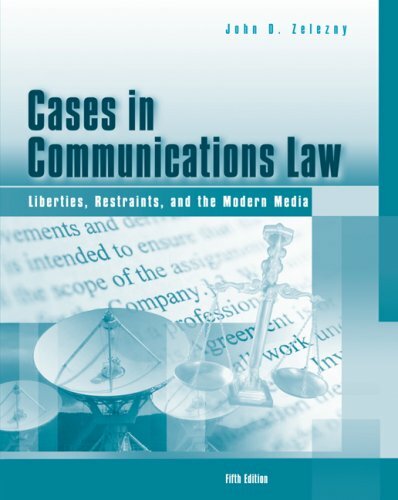 Written as a companion to Zelezny's COMMUNICATIONS LAW textbook, CASES IN COMMUNICATIONS LAW presents cases that will familiarize communications students with authoritative judicial reasoning on key principles of communications law. Most of the cases are from the United States Supreme Court and stand as precedents that all other courts in the nation must follow. author of complex First Amendment problems for law-school advocacy competitions. Mr. Zelezny holds degrees from Humboldt State University and the University of the Pacific's McGeorge School of Law.